"Classic Canes is a really quality company. If all suppliers were like Classic Canes my life would be a dream." Hilary Robinson, Presence Direct, Northern Ireland, March 2019. "Congratulations on yet another beautiful, high-quality catalogue. We suggest you and your family of lovely models pat each other on the back around a bottle of champagne, well chilled. You deserve it." Colin & Gillian Wesley, Wesley's, South Africa, October 2018. "Your new catalogue is brilliant. It is idiot-proof which is what retailers need. It is very good with sales tips and nice pictures retailers can use both for lifestyle and specific products, Full credit to you and the team!" Jonathan Williams, Montague Jeffery Ltd, UK, September 2018. "Just wanted to say thank you for the new brochure; it looks fantastic and beautifully photographed and the models make it all very professional and wantable! Really lovely to read about the history of the company too." Michelle Nichols-Davis, Cotswold Collections, UK, August 2018. "My first client to try the Spot On derby absolutely loved it and has left a happy customer. He said he was pleased to find a cane that looked stylish and trendy as well as having a comfortable handle." Gillian Green, Island Mobility, Isle of Wight, UK, March 2018. "I can't tell you what a difference they've made, not least in that they've made me feel much better about myself. That dreadful clicking noise from the standard issue cheap ones left me feeling like an escapee from some sort of dreadful institution! The biggest of thank yous." Mrs Jam, Somerset, England, February 2018. "Je tenais à vous remercier pour votre réactivité de tous les jours. Vous êtes un fournisseur en qui on peut avoir confiance et ce n’est pas le cas pour tout le monde. Vous êtes supers!" Fanny Duval, Vivadia, France, December 2017. "The walking sticks have arrived safely. They are looking very good! Even better than in the pictures and I am very pleased with the quality. It was just like Christmas, unpacking all the products. Thank you also for the nice gift we found (we use the mug every day!). We also sold our first walking stick, the 4099E. Our customer was very happy she found such a lovely walking sticks and we are very happy with that." Nienke Vinkenvleugal, Wandelstokexpert, The Netherlands, August 2017. "Please be informed I have received yesterday the canes and am very pleased with the quality of the products, these are great. Also, everything is intact. So now I start to build the website." Inno Borodenko, Tippiv Marslane, Estonia, July 2017. "It doesn't seem like 35 years ago that Ben used to come around with the Granada full of sticks for us to select. What hasn't changed is the quality of goods you supply and the level of support we receive. I am sure you will maintain the same standards for the next 35 years!" Patrick Veale, Lance Nicholson, UK, March 2017. "Hi Charlotte, Many thanks for all the images, excellent service as always from Classic Canes! Kind regards Mark" Mark Wilkes, Carpathia Ltd, UK, March 2017. "I am writing to say how delighted I am with the wonderful canes you sent for our first order. They are fabulous, just what the shop needs. 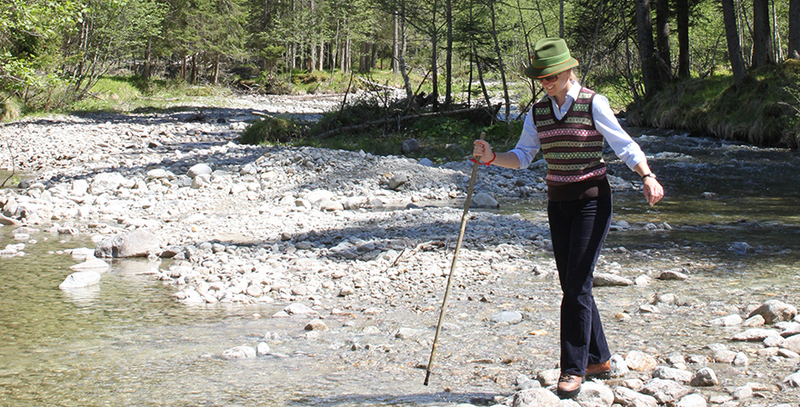 In particular the orthopaedic walking sticks are very comfortable to use. I have made a mother’s day display in the window, which is already attracting attention." Katy Brown, Scotgate Mobility, Stamford, UK, March 2017. Regarding the 35th anniversary of Classic Canes, "Enjoy your celebrations and many thanks for remaining a great company to do business with. Also, thank Alyson, Pippa and the guys in pack and despatch for their great work in providing accurate and well packed orders." Steve Young, StevieYoung, UK, March 2017. "Hello Charlotte. A BIG thank you to you and your fantastic team. Our order was delivered to us on Monday to the delight of all at this end. Tough luck in the last test in India." Colin Wesley, Wesley's Tobacconist, South Africa, December 2016. "I got my delivery from you, thanks. It's so beautiful sticks, very nice all of them!" Lise-Lotte Heder, Skaraborgs Ortopedservice AB, Sweden, November 2016. "We just received our order. Each time it's like receiving a present. gain the walking sticks are wonderful." Tineke de Bie, Apoteek Mijlbeek, The Netherlands, November 2016. "Dear Alyson! You respond as quick as a cobra! Very impressive and always good service!" Mime Akurland, Sakta, Sweden, November 2016. "Your new website looks GREAT. Congratulations to all the Classic Canes team." Tom Minvielle, CouleurSenior, France, November 2016. "I would like to have just wholesalers like you!" Hélène Barbier, Vivadia, France, October 2016. "It has been a pleasure buying from you over the past twelve years and your service has always been excellent." Ashok Madhrani, Asco, UK, October 2016. "Congratulations for the award! I think it is a result of accumulation of honest business that your company has piled up in the past." Koshi Watanabe, Japan Pensions & Real Estate, Japan, August 2016. Classic Canes was delighted to be awarded 'Family Business of the Year' and 'Business of the Year' at the Western Gazette Business Awards for companies in Somerset and Dorset, 21st July 2016. "Dear Charlotte. Thank you for the card. Your company is my favorite to work with; always having what we want, everything arrives in record time and without looking like it was kicked all the way here. Best packers in the business. Wish all our suppliers were as caring." Owen Smith, www.lollysmith.com,, USA, February 2016. "Was delighted with my first order. Already sold two and haven't even had time to display them yet. Wishing you and your team a lovely Christmas and hoping to place another order with you early next year. Kindest regards," - Susan Absolom, Susan Absolom, Germany, December 2015. "I am always amazed at the professional photography you send. For many years I kept telling my vendors that on the internet the only thing you have to sell from is the picture and a very descriptive description of the item. Great job on both at Classic Canes." Tom Siceloff, The Siceloff Companies, Florida, USA, November 2015. "Hi Charlotte, Alyson et al. Santa has arrived early! All present and correct and on display. All the staff here are really pleased and we are all writing our Christmas wish lists. Thanks for such speedy and wonderful service. Now, off to enjoy a cup of tea in my new mug :-) Kind regards." Jeremy Turner, Somerset & Westcountry Stairlifts, UK, November 2015. "I've had so many compliments on my Classic Canes stick (5003F). I love how it allows me to still express myself as a young person and not let my illness control me. Thank you for designing such lovely sticks." Classic Canes user's comment on Instagram, September 2015. "I have a lot of your canes and my friends love to see which I have. I love to match them to whatever I wear." Jill Hepworth - comment on Classic Canes' Facebook page, September 2015. "Sturdy, stylish and high-quality. That's what our customers tell us they want from a walking stick. That's why we've chosen Classic Canes as our main supplier." Cosyfeet mail order catalogue, August 2015. "Thank you: you are one of the few companies that regularly keep in touch with us and we appreciate it." Kenneth Wheatcroft, Arthur Shepherd, Cambridge, UK, April 2015. "We are very happy with Classic Canes and see your product as a core line in our centres. If time ever permits it would be lovely to show the ladies round your woods and to understand the product that little bit more. Wishing you all the very best." Nichola Welsman, Otter Nurseries, England, March 2015. "You're all so technically competent! Everyone has been most helpful and knowledgeable and easy to deal with." Veronica Coupland, Eland Lodge, England, March 2015. "The first thing we sold from our new shop was a Classic Canes walking stick!" Anne Fox, All Mobility, Beverley, UK, January 2015. "We have received the canes. Looks really good! I am sure it will be a success!" Hans Christensen, Kagstrupgaard Aps, Denmark, January 2015. "Now it has materialized the results of our visit to your stand at Autumn Fair in Birmingham. Always thank you very much for your kind support to our company." Koshi Watanable, JPRE Inc, Japan, December 2014. "The canes arrived yesterday and are even more beautiful than I thought they would be! We've sold three already - and I can't wait to order more...I am studying your marketing tips (which are excellent) and am very proud to sell Classic Canes in my shop." Danya Simkus, No 7 Books, Port Gamble, WA, USA, December 2014. "You've always been supportive to us. We are happy to promote the brand and the products for you, so more people can enjoy the high quality walking aids." Aries Lee, Hoho Life, Hong Kong, December 2014. "Thank you for your guidance and escorting this order through for me. I must say again, your business representation has been very professional and second to none at this stage. It's over to me now to generate a sales channel for you!" John Connell, Atlantic Surgical, Ireland, October 2014. "Your catalogue is a work of art! Fantastic as ever." John Forsey, John Forsey Guns, England, October 2014. "Thank you for the lovely sticks you sent me. They are wrapped beautifully. I'm so pleased I took the blackthorn as they are excellent. Such a pleasure to work with you all." Stuart Thompson, The Walking Stick Shop, England, October 2014. "It's really nice to offer something out of the ordinary to the Swedish audience and - in many cases - make the anglophiles amongst us happy!" Peter Larsson, Hunden & Herden AB, Sweden, October 2014. "We have received the canes and umbrellas just now; they are beautiful! Thank you for your swift attention and delivery, I am sure that they will complement our country range and go down a storm in Melrose. Many thanks again!" Angela Lauder, Scotch Tweed Ltd, Melrose, Scotland. October 2014. "I feel highly considerated by Classic Canes. I am very happy with your service and rapidity, and the new catalogue is excellent." Tom Minvielle, Couleur Senior, France, September 2014. "I love the new catalogue, especially the dogs! I really enjoy the lifestyle pictures of the models and I find them useful to show customers so they can appreciate how much better they'll look with a smart walking stick. The posters and display cards for the shops are excellent too." Dorothy McKenzie, Bare Pharmacy, UK, September 2014. "When I say your catalogue is great, I mean it is really great. And when I say I love your walking sticks, I mean I really love them." Michael Poyiadzi, Express Shoe Repair Shop, Cyprus, September 2014. "Thank you for the beautiful catalog received today. I was impressed not only by the canes, but above all by the models! I am sure the photographer is talented, but only so much.... Congratulations to all of you, it is such a pleasure to work with your family. And Vive l'Aplomb!" Eric Aliamus, Private Avenue, France, September 2014. "Classic Canes products have been our two first sales. The display looks very good and a lot of people come in and are interested in buying: all saying the canes are great. The fact that the display is important (we have something like 75 of your canes) is obviously a plus." Romain Coti, Bitina, France, September 2014. "Merci pour votre nouveau catalogue, celui-ci est très élégant à l'image de votre entreprise. Je vais prendre le temps de regarder toutes les nouveautés et je n'hésiterai pas à passer commande." Yoann Balthazard, Mistercanne, France, September 2014. "I love the new catalogue. The cover shot is amazing and the whole catalogue tells the story of a family business that really cares about quality and detail." Steve Young, StevieYoung Ltd, England, September 2014. "Thanks so much for the current catalogue! It is extremely well presented and yes, the models? Well, what can I say!...I think that husband of yours is trying to outshine you, so you be careful! Ha!" Bob Christie, Concept Promotional Merchandise Ltd, Scotland, September 2014. "Hi, had the catalogue in. Nice job." David Russell, editor, THIIS, England, September 2014. "Nous venons de recevoir votre nouveau catalogue, félicitations! Les photos sont très jolies et la couverture est magnifique!" Aurélie Diot, Distroff, France, September 2014. "Thank you so much for your new catalogue - your best yet. The lifestyle shots are terrific, I love the one with the castle. Wishing you every success this season." Sara Clark, Cox the Saddler, England, August 2014. "Many congratulations on the recent and superb Classic Canes catalogue - great timing if I may say so in the calender year and beautifully produced as well. Well done to you and all the Team on such great progress and development." Norman Drummond, Drummond International, Scotland, August 2014. "Many thanks for your First Class Support. We like it and we appreciate it. We receive our order on Friday and all was fine!" Christian Heckmann, Stockshop, Germany, August 2014. "The package has arrived. The sticks are amazing. Thank you very much." Ambrose Leung, LAB Designer Items, Hong Kong. August 2014. "I've just sold a 4616M (blush pink floral folding cane) as it was delivered to me. I was opening the carton in the shop and it sold! I really like this model. The joints are so easy to operate." Mike Ruddick, All Mobility, Christchurch, England. July 2014. "This stick is my second Shamrock cane; so many people admire it. The first one is a little worse for wear now, but I love it. Thank you!" An end user, June 2014. "Thanks so much for your speedy reply. I've been in touch with Wherritts and will get 'fixed up' later today. A very pleasant experience all round." An end user, June 2014. "By the way, while every stick is a gem, in the last box were some of the finest ever. I just went ahead and kept the best one of all. We receive lots of good ratings for quality. Glad we met." Owen Smith, Lollysmith, USA, April 2014.